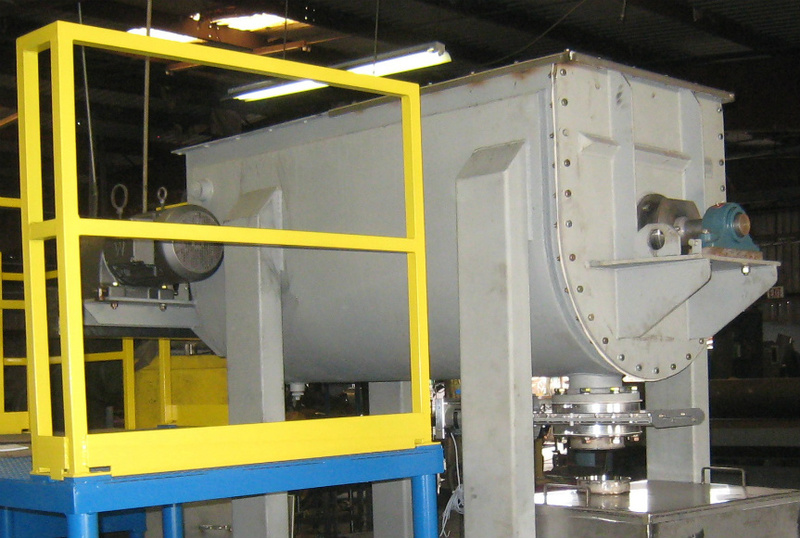 Reliance Paddle and Universal Mixers are medium intensity mixers that homogeneously mix large amounts of material. The mixers are used to gently homogenize dry powders, granules, pastes, slurries, and liquids. 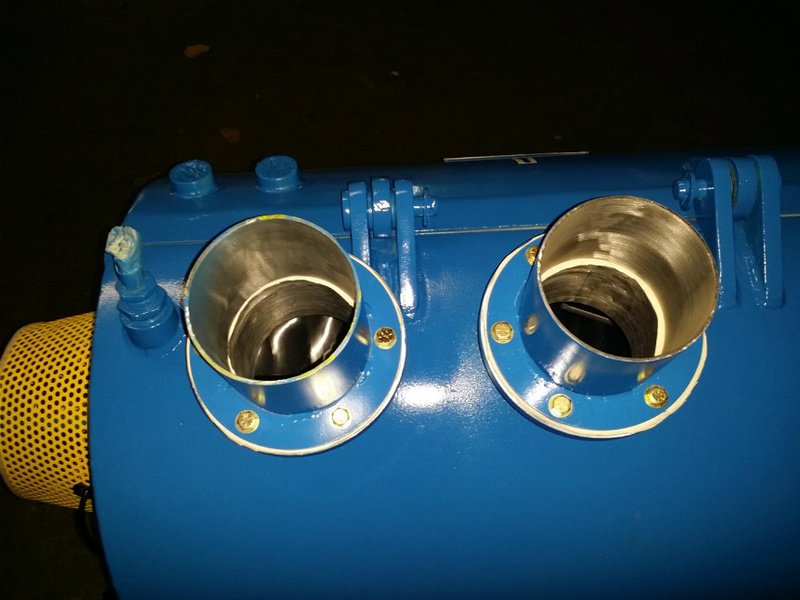 They can be supplied with accessories to break down agglomerates, heat or cool material, or pull a vacuum on the agitated product. Reliance Paddle and Universal Mixers are supplied with easy clean and easy maintenance features. Welded and bolted designs are available with food or industrial grade seals. 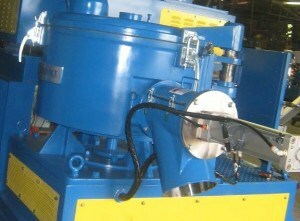 Reliance can custom make any Mixer to suit your unique manufacturing needs. 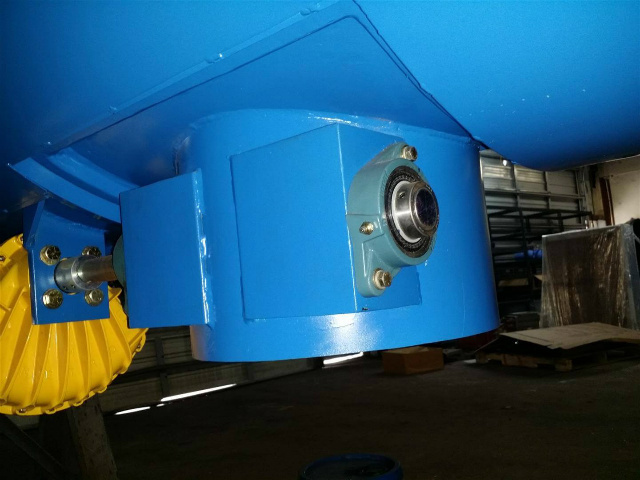 Reliance Horizontal Paddle and Universal Mixer Tools: The Reliance Horizontal Mixer is a large batch mixer that has an effective horizontal mixing area. The unit can be supplied as a high energy, high shear, high speed batch mixer or can be supplied with a drive or pulley/gear ratio that allows the mixer to be run in a low speed/low shear capacity. 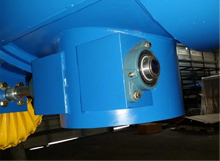 The tools can be either welded directly to the shaft or can be bolted on for easy removal and maintenance. The tools can be supplied as paddles, ploughs, ribbons, or a combination of the three. High Speed Choppers can be added into the unit for additional shear. The Reliance Universal Mixer is a large batch mixer that has an effective vertical mixing area. The mixing tools sit on the vertically integrated shaft. 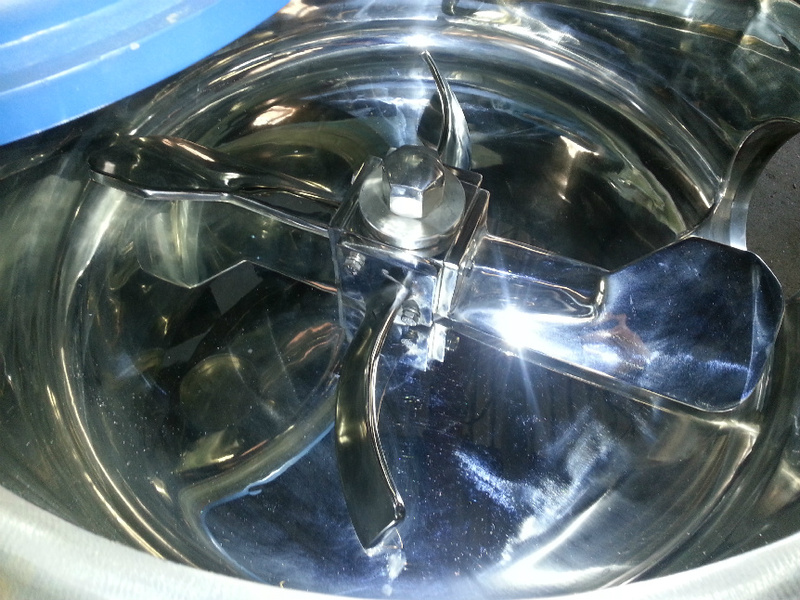 They can be bolted with Teflon wipers to keep the bowl surface clean. As with our Horizontal Mixer it can be supplied with a Drive to give speed variation. 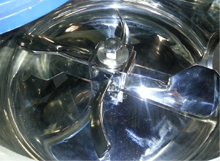 High Speed Choppers can be mounted on the side of the bowl for additional shear and agglomeration break down. Reliance Horizontal Paddle and Universal Mixer Vessel: The vessel in a Reliance Horizontal Mixer is similar to the Reliance Horizontal Cooler Vessel. The vessel houses the shaft and mixing tools. 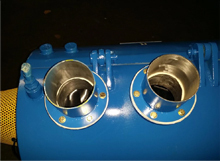 It can be of a Cylindrical or U-Trough Design. The vessel can either be jacketed for a heating or cooling median or can be supplied without the jacket. In cases where clean outs are important, the vessel can be highly polished. In cases where the material being mixed is highly abrasive, Reliance can make the unit out of thicker material to increase the life of the vessel. The Reliance Vertical Mixer vessel is similar to the Reliance Vertical Cooler Vessel. It has a short-radius spun form bottom. The vessel can be jacketed, highly polished, and made out of thicker material if required. Reliance Horizontal Paddle and Universal Mixer Loading and Unloading: Loading for both the Reliance Horizontal Paddle Mixer and the Vertical Mixer is done through the top of the unit. The Paddle Mixer can have openings through the lid or through inlets in the cylindrical designed units. Loading is done through openings in the lid for the Vertical Mixer. Injection nozzles can be supplied to spray liquids for even distribution into the product for both mixer designs. 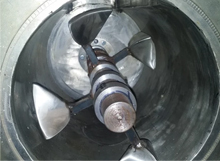 Material is discharged from the Horizontal Paddle Mixer and from the Universal Mixer from bottom openings. The plugs for the openings are pneumatically actuated. They come with limit switches to give open/close feedback. As compared to most Paddle Mixers, Reliance Paddle Mixers come with large openings allowing material to flow faster at time of discharge.